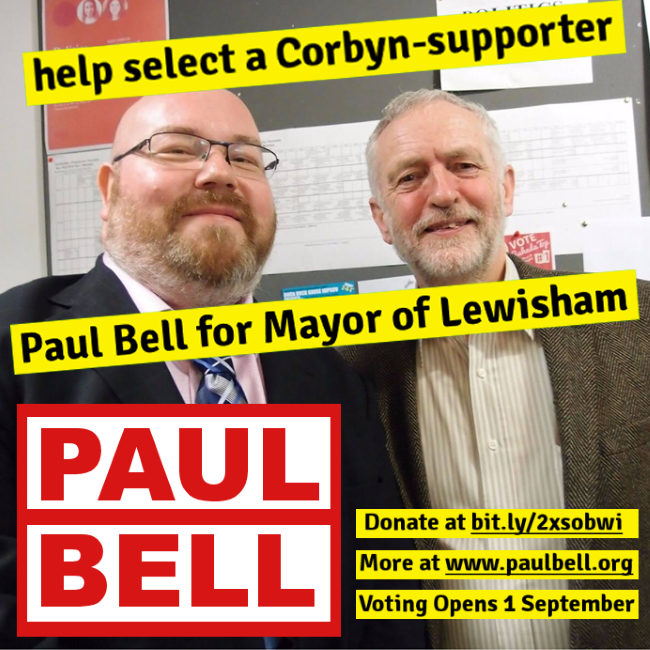 I am supporting Paul Bell to be Labour’s candidate for Mayor of Lewisham. I urge you to vote for him here, his manifesto is here, or otherwise available via his campaign website. I’m voting for Paul Bell as he has a real vision for Lewisham. We need to change, we don’t want a mayor that will carry on in the same old way. Paul Bell offers hope and change and a better future for the many not the few.